This mansion was built in the sixteenth century and altered completely in the eighteenth century. 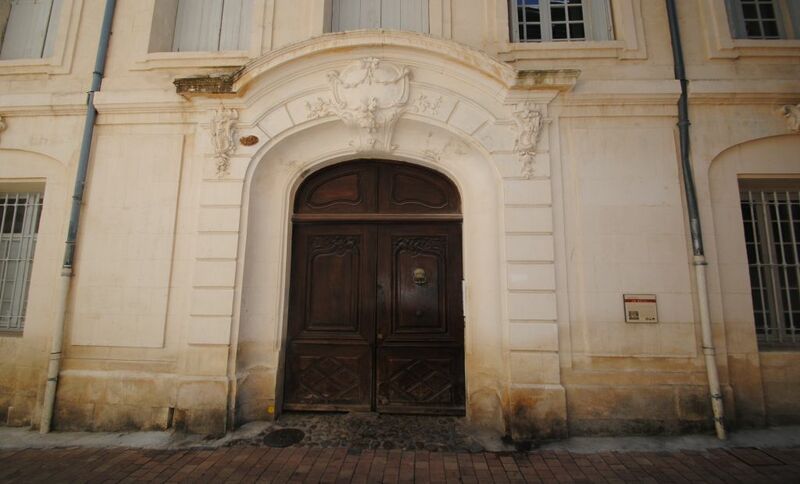 The stone façade with windows decorated in Louis XV style and the carved door are remarkable. The charming courtyard paved with round pebbles (calades) features two Roman funerary steles and a spiral staircase remaining from the oldest part of the building.